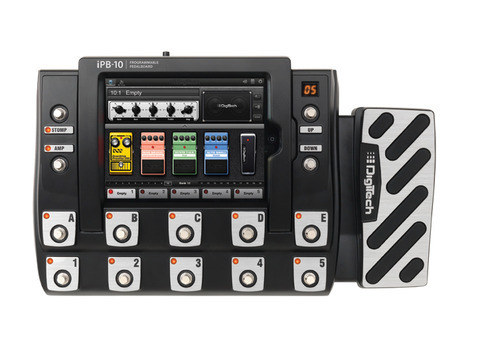 Digitech has put a new twist on guitar processing with the iPB-10 Programmable Pedalboard. Seems like a great idea but I'm a little concerned about having an iPad in a floor unit that gets stepped on. 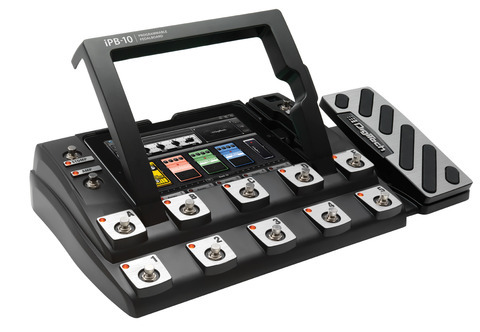 "The iPB-10 allows you to create your ultimate pedalboard, all on your iPad. Design a pedalboard by simply dragging and dropping up to 10 different pedals, in any order, to each pedalboard. You can even add an amp and cabinet to each setup. With 87 different pedals, 54 amps, and 26 cabinets to choose from, your options are virtually unlimited. Simply swipe your finger across the iPad to rearrange your pedals, turn them on and off, or to adjust their knobs."